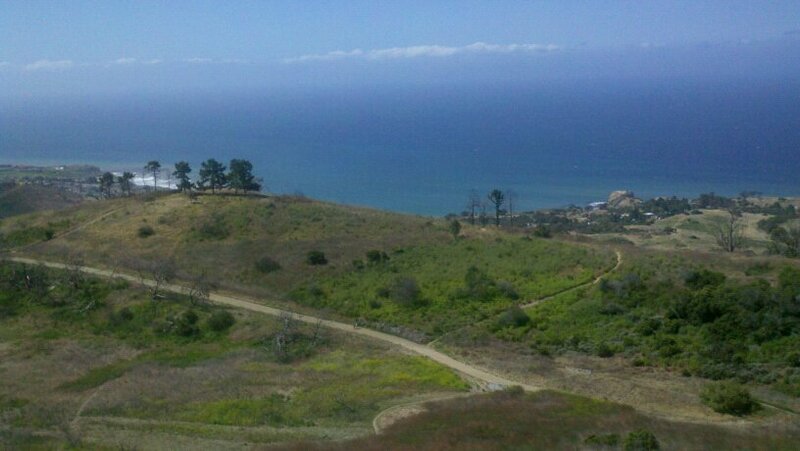 TRAIL NAME: Portuguese Bend trail starting from Del Serro Park in Rancho Palos Verdes. Remember to set your manual clocks ahead (forward) one hour prior to going to sleep on Saturday night. Remember: Spring forward, Fall back. PARKING FEE: There is no cost in to park at the meeting point/park and at the trail head. However, parking is quite limited, and you may need to park further down the street from the park. Please arrive early to get a good parking spot. TRAIL WALKTHROUGH: We will hike downhill on Burma Road trail to Palos Verdes Drive, take a break and head b trail. 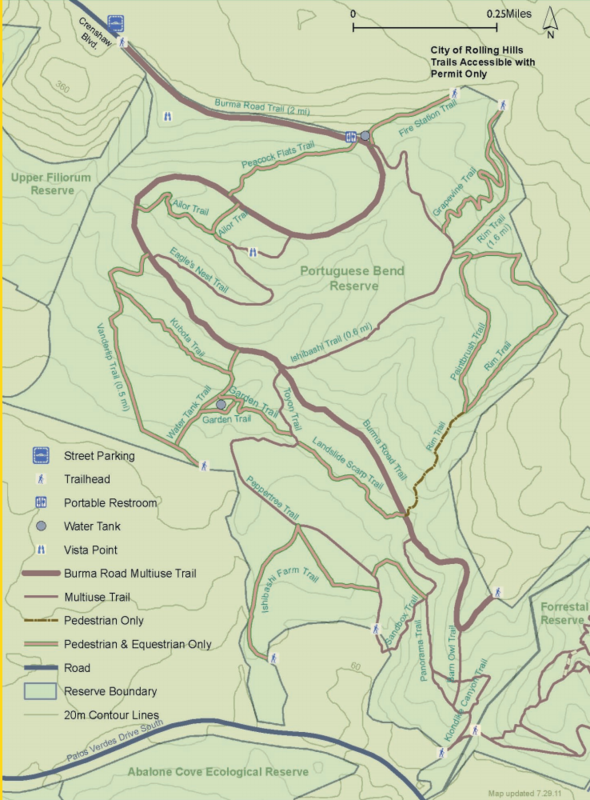 Portuguese Bend is a series of trails ranging from easy to advanced, letting everyone from hikers to mountain bikers get a great workout. The sun-exposed hills can be brutal, but the views more than make up for it. We’ll go down to the the Palos Verdes Drive area along these trails. Should we have ample time, we’ll try and go across the street and down to a cliff side area near the edge of Abalone cove. REQUIRED: At least 1 liter of water, hat, sunglasses, sunblock, a snack. RECOMMENDED: Comfortable walking shoes with good traction and hiking pole. Additional water. DOG-FRIENDLY? : Friendly (all dogs must be on leash), Must pick up after your pet and provide them with their own water and drinking container.